I began the new position of Chief Technology Officer in Dublin Unified in January 2015. In every new position, I go and meet school Principals, introduce myself, and hope that we can have a meaningful conversation about how I can support them with technology. During one of these routine visits, and idea it was born. Murray Elementary School in Dublin Unified, is the one of seven elementary schools. While sitting down with the Principal, and sharing my experiences of how technology can best serve classrooms, I mentioned the Maker movement. 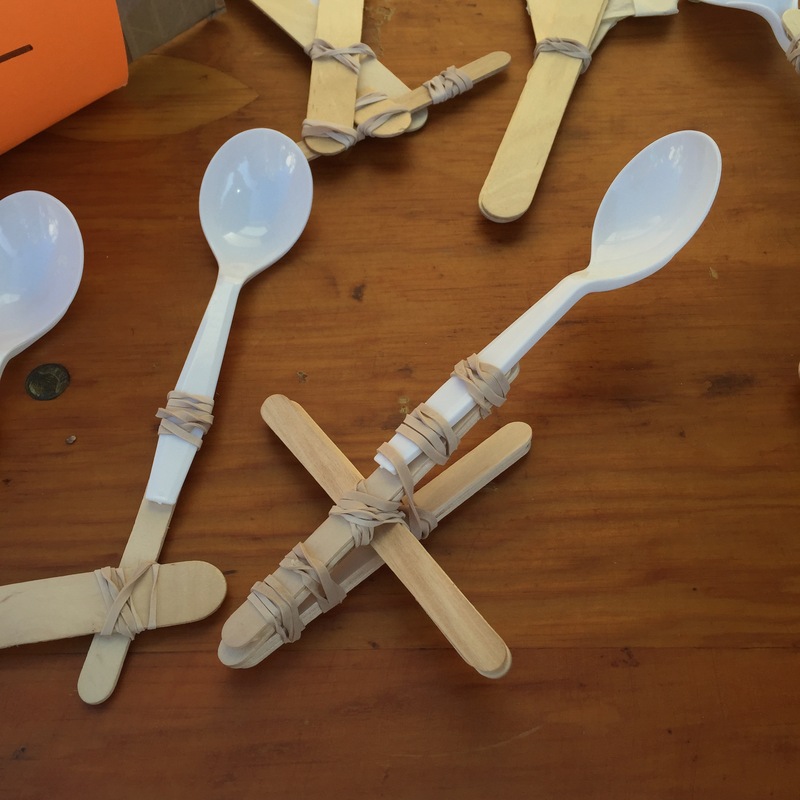 The Maker movement was a new concept to the Principal, but there was a correlation made to the Steam Carnival event that occurs in San Francisco annually. In this conversation, we began planning what would be the implementation of the Murray Maker model beginning in the fall of 2015.
for Your School by Laura Fleming, and doing a presentation with the Murray teaching staff, we agreed on November 6 as our launch date for a formal family event that would introduce the Maker concept and MinecraftEDU in the Windows lab. We loaded the MinecraftEDU client in the lab and Custer Rodriguez, one of my staff, set up the MinecraftEDU server in our network and we were ready to run. 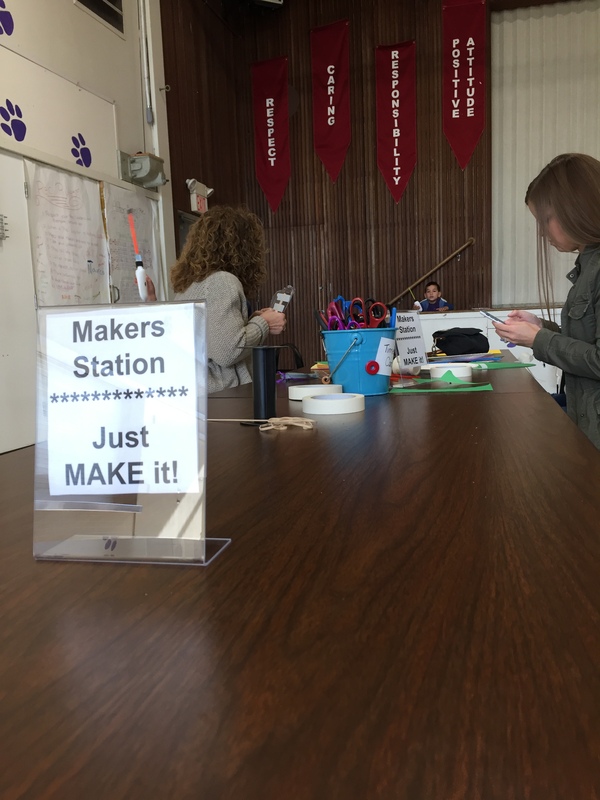 Four tables of maker projects were planned, set up, and managed by Denise Fischer a veteran fourth-grade teacher at Murray Elementary. Here’s my formula for a successful implementation of MinecraftEDU: begin by empowering the students to run MinecraftEDU server and manage other students in the lab. We chose fifth graders as the model that would work best for the elementary school. 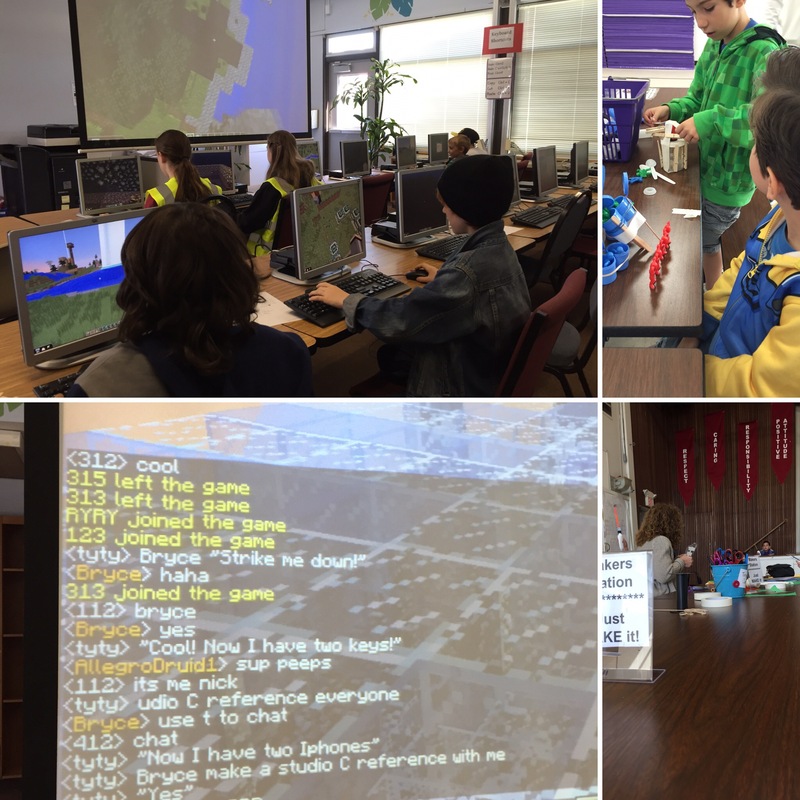 At 9:30 AM, the doors were opened and within 20 minutes the lab was at capacity (36 computers total) with MinecraftEDU loaded all but three kids on the server and the build challenge had begun. We chose an environmental peaceful mode world set to creative, not survival and had parameters about what could and could not occur in the build. The intention was to build a community in the village and add value to the community. The noise level rose as the morning wore on and the chatter with the students was pure music. Many dads showed up to observe, assist, and play alongside their kids. It was quite an execution. I did tech-support, while my 10-year-old son lead the lab through a build in creative mode. S. Nelson, a six grade student at Wells middle school, also assisted as a server master. 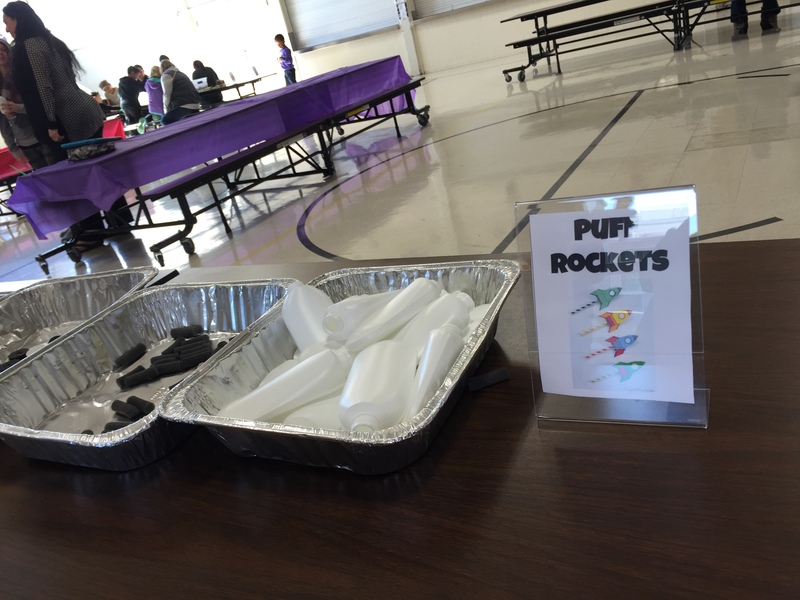 They assisted many small children in the primary grades learn the game rules, navigate through the world, and answer key questions about functionality. 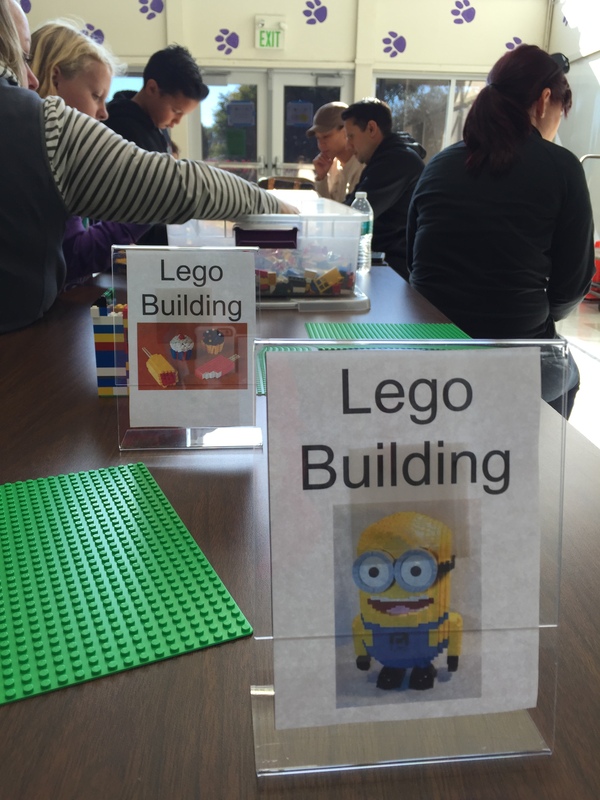 We had 50 students, 30 families, and many dads roll through the MinecraftEDU lab and the Maker station projects. Part two of the rollout occurred Monday at 11:50 AM when we opened the lab up to all students in third through fifth grade. The announcement was made by the Principal and three minutes into the lunch hour the lab was packed. 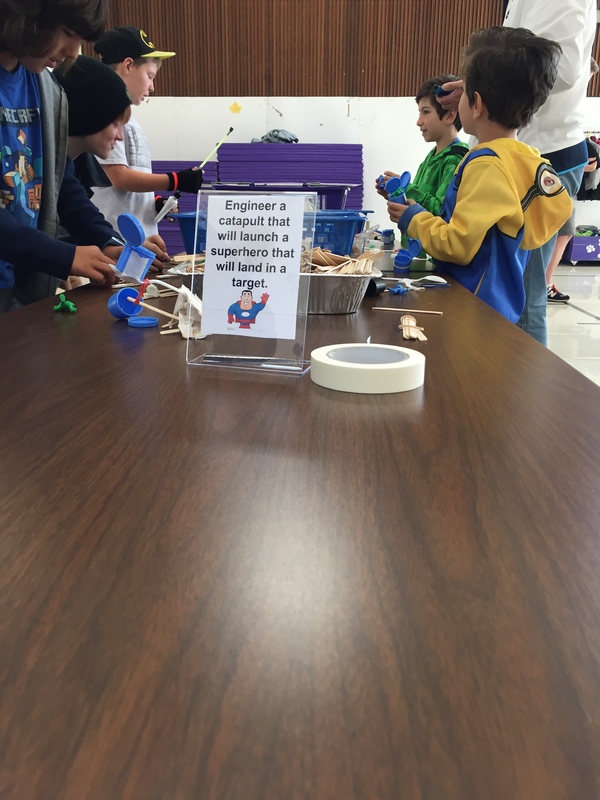 Students went into the environmental world, and continued to build or add new structures to the village. Again the noise level rose throughout the lunch. 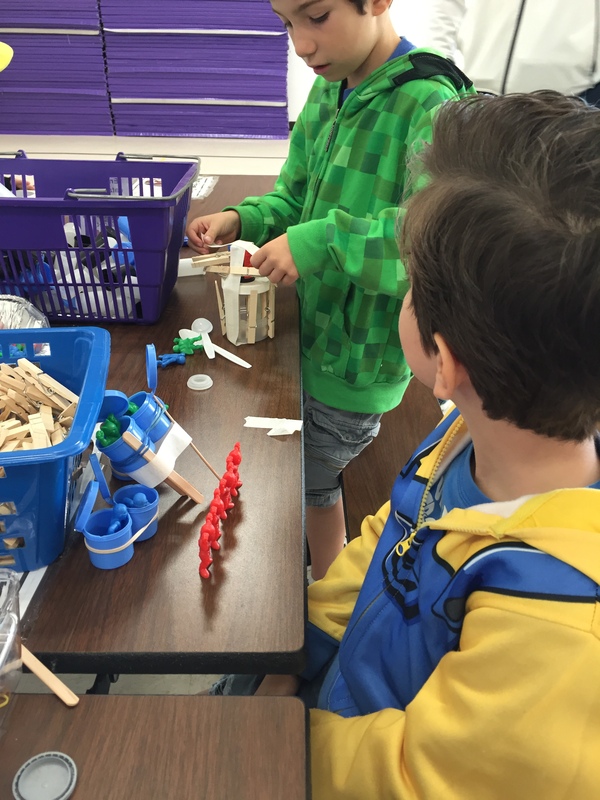 Students became very interested in what they building and working with firends. Beginning next week (November 16), the lab will be open during lunch, three days a week for third through fifth grade students only. The lab will be run by a rotating group of 4 fifth grade students who have been entrusted with the teacher password and will serve as the server masters.